One of the most delicious days of the year has finally arrive — National Pancake Day! Celebrate the day with mountainous stacks of flapjacks! With the holidays around the corner, we understand that shopping can be stressful and pricey! Here is a list of great preschool gift ideas—all under $25! Three oversized, easy-to-handle puppets on sticks inspire imaginative play with silly faces, movable mouths and endless possibilities. This award-winning preschool game develops matching and sorting skills, strategic thinking, hand-eye coordination, fine motor skills and pre-handwriting skills. To top it off, it’s fun to play with the whole family. What more can you ask for? Nothing gets the kids up and movin’ like Magic Moves! Ninety fun physical commands, twinkling light shows, and 26 musical tunes to get little ones up and moving! This powerful wand not only gets them exercising, but it also promotes creativity and listening skills. 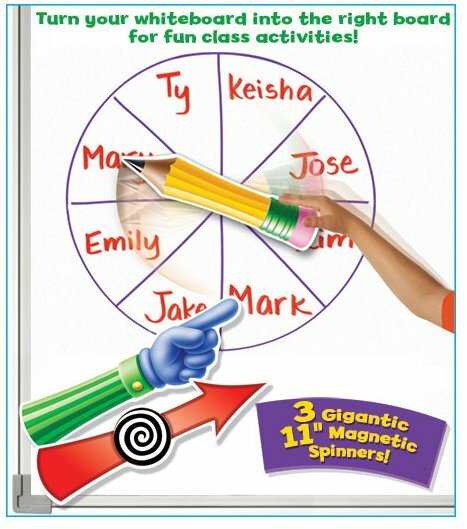 Perfect for indoor play on rainy or cold winter days! This burger building bonanza helps work fine motor skills, color recognition, and matching while having a flipping-fun time with the whole family. Buck, Buck, MOOSE! This fast-action, color-matching card game is perfect for preschoolers! This riveting ranger game will help your little ones with color matching, speed, and sportsmanship. ‘Tis the season for tiny gifts! Today, we’re featuring great gifts for stocking stuffers, Hanukkah, and Kwanza all under $20! Make sure you don’t miss out on these wonderful goodies! Take the fun of Blurt™ on the go! This hilarious, fast-paced, word-defining race game is now small enough to take with you anywhere! Great for a quick game in the car, waiting room, and even while waiting for a meal at a restaurant. Perfect for puzzle lovers everywhere, this on-the-go, brain-twisting solitaire game is sure to challenge even the most formidable player. Playable in either 2-D or 3-D, this travel game ranges from basic to deviously hard and includes a 48-page illustrated book of puzzles waiting to be completed! It’s the perfect gift to keep even the biggest brainiac busy! Playfoam allows preschoolers to express their creativity—with no mess to clean up afterward! It’s squishable, shapable, squashable fun that never dries out. It’s the perfect stocking stuffer for the little artist in your home! Only the speediest word-builders win this quick-thinking, head-to-head word game. Featuring letters and letter combinations that promote reading, vocabulary expansion, and spelling skills, KaBAM™ is the perfect fast-action word game for word lovers! Race to crack the case using only 3-letter words! This game is no ordinary mystery and is deceptively tough for its size. If you’re looking to add a challenge to your next game night, TriTective™ will do the trick!